Today I am celebrating Veterans Day and my heart is full. 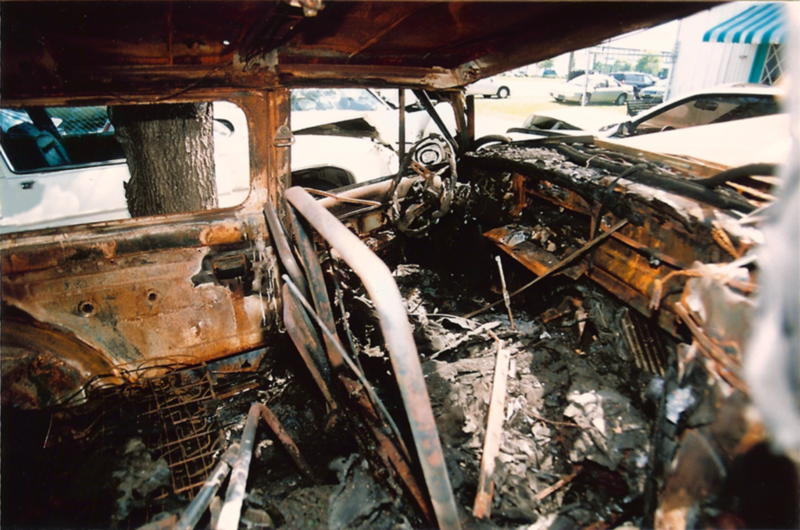 It was a Vietnam veteran named Roger Pepper who saved my life, pulling me from this burning car in 1998. I was trapped inside and he ran into the fiery scene. I remember the very moment we caught eyes when I was inside, so afraid, and in so much pain. Then he kicked the glass out, and pulled me out. The story could have ended there, but for years (until he passed away) he always called to check on me to be sure I was ok. He was so kind to me. He cared. He is a true hero, alongside every veteran. 1) We can never underestimate the impact our kindness can have on a stranger. We can have no idea how we may be helping someone who is hurting with the simplest act of a genuine smile and eye contact. When we focus on extending our kindness to others it disrupts any unhealthy loops of negative thinking and gets you into good, yummy, wonderful feelings. No matter how busy we get, we can learn to take three seconds to give someone a warm genuine smile, or use a supportive tone of voice as we speak. With these simple practices, our lives can have more meaning. 2) If you have had a persistent painful issue that for years will not resolve, even with counseling, or support, and books, etc., start your day interrupting those negative feelings or thoughts by jumping and saying "STOP!" Then stand tall, put a huge smile on your face and go to a memory of when you were filled with joy or aliveness, or love. Replace the negative with a positive. Decide how you want to feel and be in charge. The pain may always linger in the background but you can make a choice to not let it run your life. 3) Our brains love silence. In this busy world, days and weeks can fly by without time for reflection. If you can, find some quiet time today and enjoy it. When we get quiet, we get to know ourselves in an important way. We can listen to our thoughts and connect to what we really hope for, decide on next steps, get clarity, and so much more. May your day be filled with goodness. 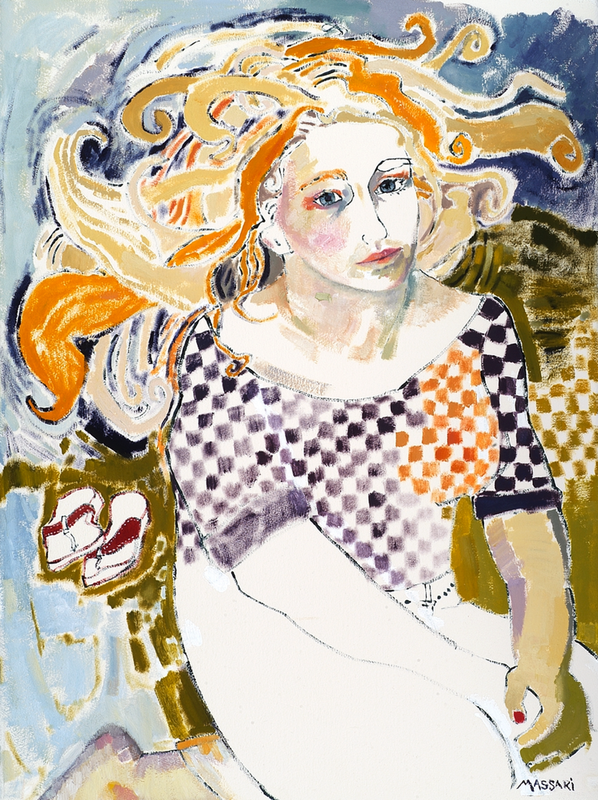 Artwork by me: "The Place Where My Soul Rests" © Allison Massari For prints please click here. I have a soft spot for the wonderful people at the Cleveland Clinic. 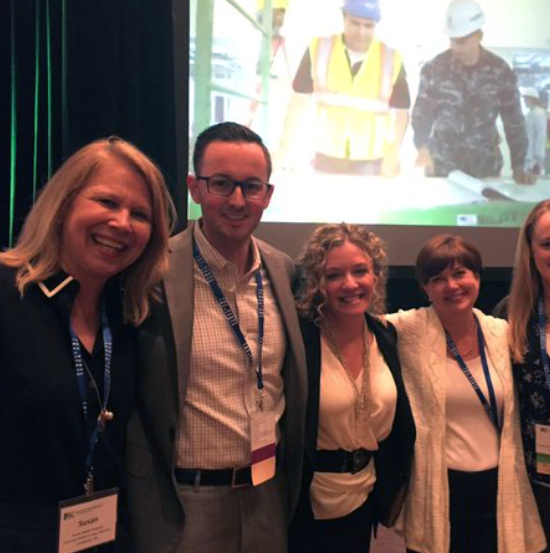 And I am still smiling from the honor of speaking for them at the Patient Experience Summit this year. 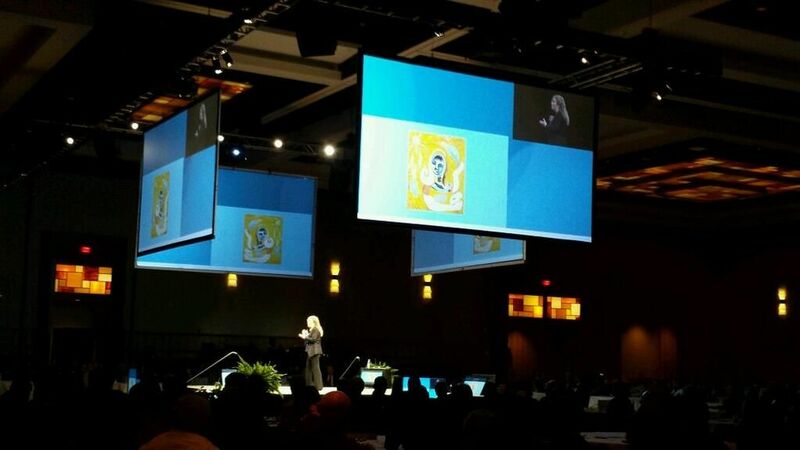 Today I saw this clip from my keynote that was posted online. Please feel free to watch! Click Here. To learn more about my speaking in healthcare please Click Here. 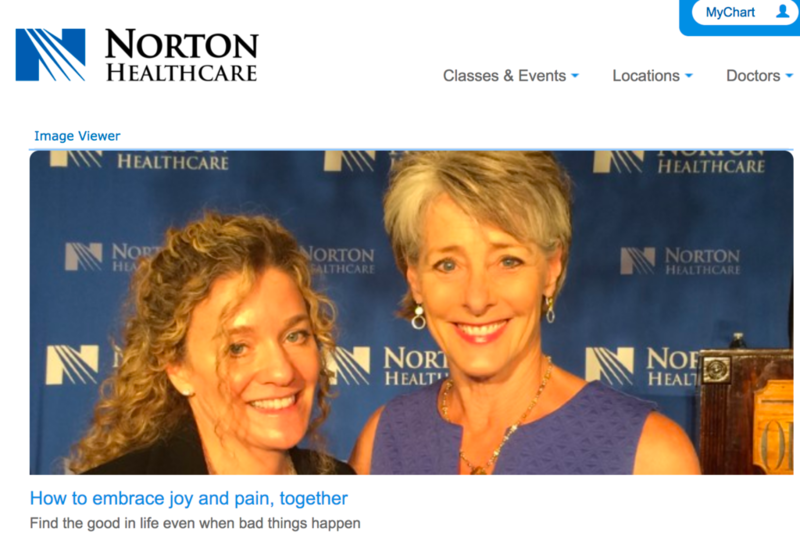 Speaker for Norton Healthcare at "Go Confidently"
Speaking for Norton Healthcare was truly special. I had the privilege of delivering the keynote at "Go Confidently" which is a free event generously provided to the community by Norton Healthcare. It was a first-class event and done with so much love! To get a peak click here. And to read the follow up article you can see it by clicking here. A magical visit to the doctor: I have a really wonderful relationship with one of my doctors. He's helped me for several years with my burn scars. Today we did an experiment on one of the scars on my right leg. We knew it would be painful but worth trying for sure. Well, he did something different today. When he walked in he looked at me with a big sweet smile and started gently dancing while singing a Stevie Wonder song, "My Cherie Amour". And his voice was so kind and gentle and it became hypnotic. And we both started giggling and I was humming with him and smiling and he started the laser treatment and I was completely distracted by the joy of it all and the calm that came over me. And then his song turned into something more jazz-like - a mix between Chet Baker and Louis Armstrong - and he made up a sweet song about me, singing my name - and there I was completely blissed out - and the pain was suddenly nothing at all. He never missed a beat and kept smiling the whole time so generously. And then it was over and I said, "Wow! That was really amazing." And he said with a big smile and a twinkle in his eyes, "I think I discovered something today." And I said, "Oh yes, indeed you have.” - This completely made my whole day. I have a feeling that the future of his business will be now adding a lot of this dancing and singing for his patients. That was truly patient-centered care. And pure kindness... And just pure fun... Isn't it amazing how the simplest things can sometimes create such pure joy. I just delivered seven keynotes in four days for SSM Health Care in St. Louis, MO! And, Wow... This was a first for me. What an honor too! 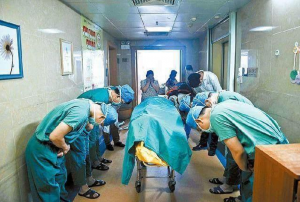 It was a series of events that they put on in devotion to their entire staff. We had 600-800 people at each event. During each program I did a Q&A session via text with them to engage and connect with them, which I always love to do. They brought me in like I was family and it was truly special. 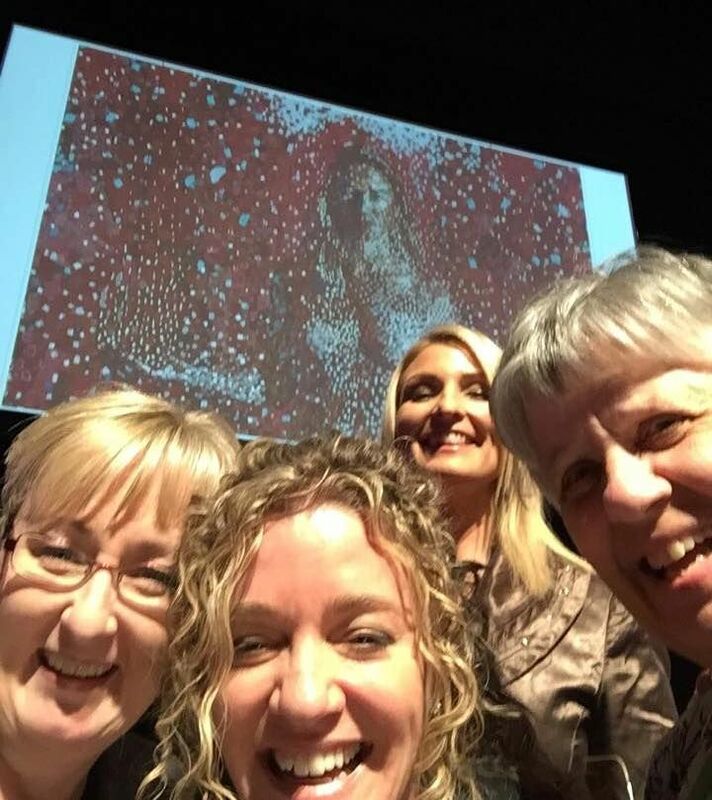 On the last day, several of the team members came up on stage with me to get a selfie with me, and you can see our joy! Thank you SSM. Oh how I loved speaking for the Beryl Institute in Dallas, TX today. What an outstanding event! 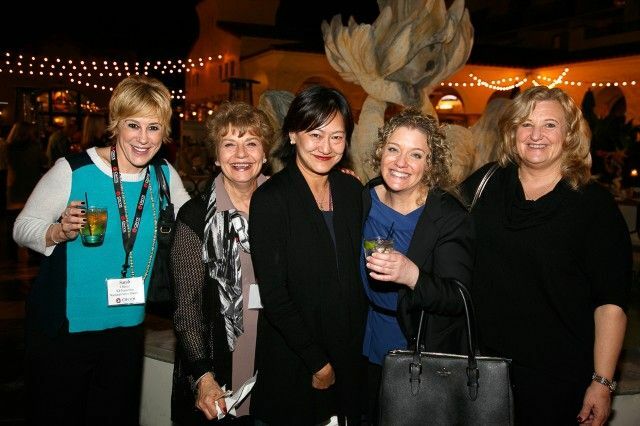 It was a convergence of spectacular people in healthcare all devoted to the patient experience. As I shared my own story of recovering from severe burns I spoke about the power of compassion as a healing tool and how the devotion of my healthcare team supported my journey in such a profound way. 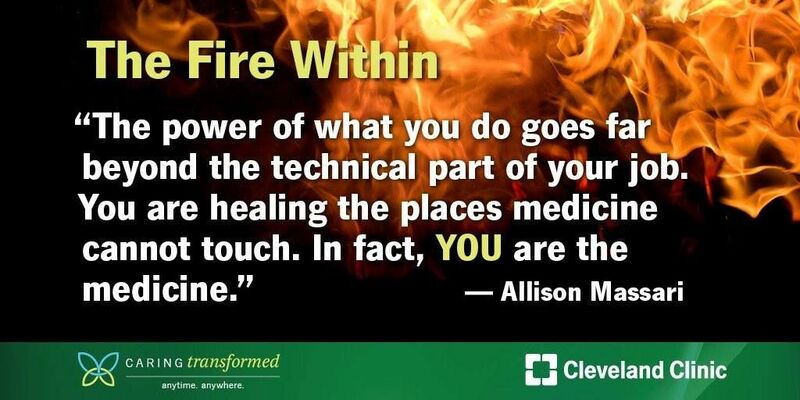 To learn about my speaking in healthcare please Click Here. Take a peak below from the Meet and Greet afterwards. 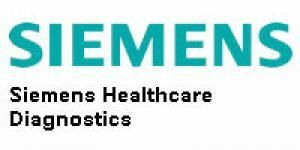 This year I was hired by Siemens Healthcare to deliver my keynote in eight states to technologists. This was a huge honor and an exceptional experience. I met the most wonderful people. 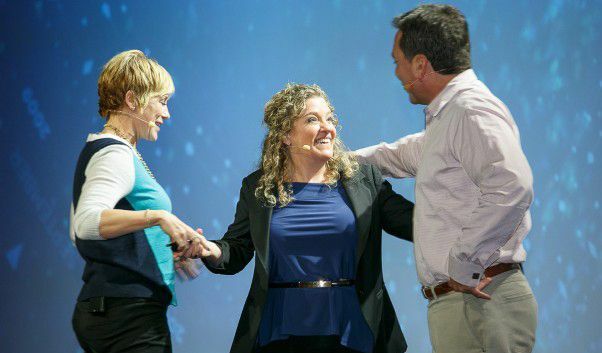 I love speaking at customer events like this! 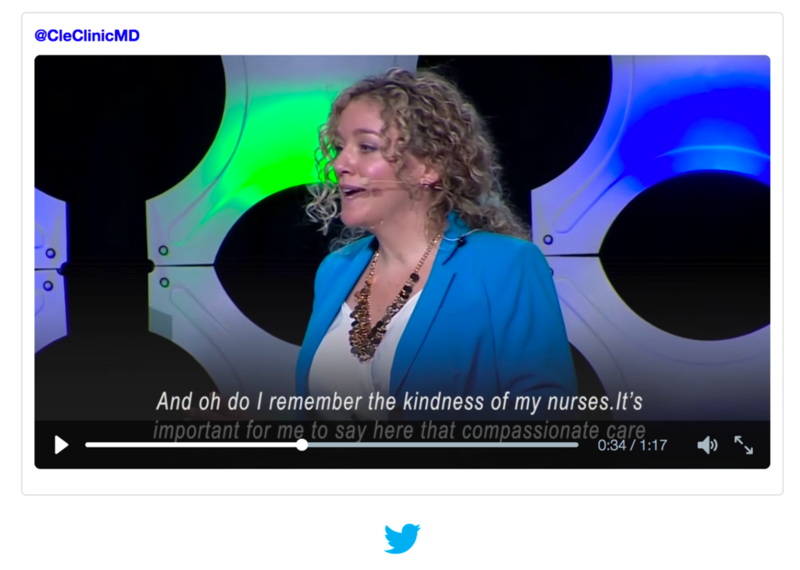 "Compassionate care is not just about being kind. Being an expert at your job is compassionate care. Being fully present with your tasks and triple checking your work is compassionate care. Being skilled at putting an IV in is compassionate care. Being up to date on the most effective delivery of treatments that minimize pain and discomfort is compassionate care." This was an incredible honor to speak for GE and also share the stage with Sully Sullenberger. Even more wonderful was to see this beautifully written blog post by Justin Steinman, the VP and GM for GE Healthcare IT where he shared his thoughts about our keynote programs. Click Here to read the post. To learn more about my speaking in healthcare please Click Here. The sales teams for Onyx Pharmaceutical, Inc. (Amgen) convened for their annual convention yesterday in Huntington Beach, CA where I had the honor of delivering the keynote speech. I loved my time with them! One of the leaders had seen me speak for Eli Lilly and Company two years earlier and brought me in. I love inspiring people. And this was a great privilege. Below are photos: 1) After my speech with two of the sales team leaders on stage. 2) At the Meet and Greet. [hozbreak] To learn more about my speaking in healthcare please Click Here. [hozbreak] "In a word, astounding!" 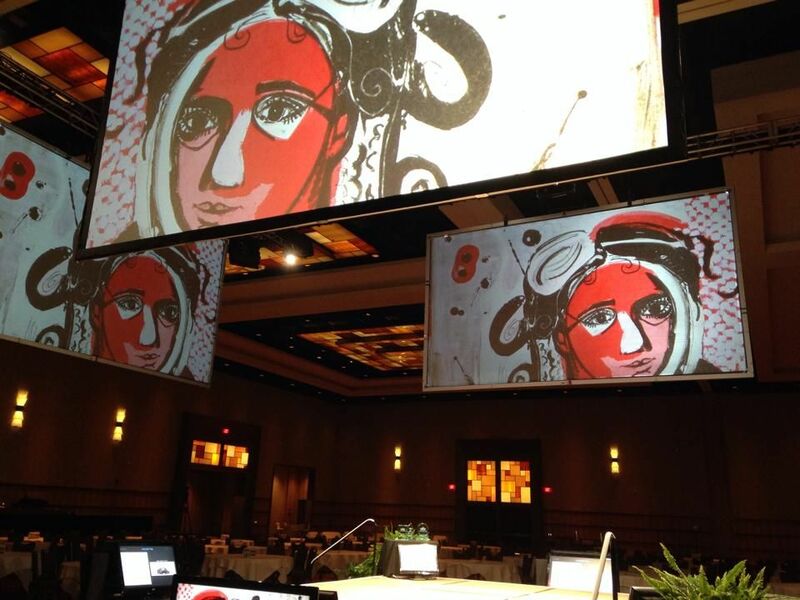 "One of the most memorable and impactful keynotes in CIO Forum history.” "The presentation you gave at the 2014 CHIME/HIMSS CIO Forum yesterday on healthcare was, in a word, astounding! We are still very much basking in the glow of the event, for which we owe you our deepest gratitude for capping off a great day with one of the most memorable and impactful keynotes in CIO Forum history. Our group was absolutely riveted to your every word within the first minute of your taking the stage, and you kept them mesmerized for the entire hour. You spoke with such passion, compassion, energy, and charisma and connected with our audience on a deep and truly emotional level. Several of our staff commented at how astonished they were that our group gave you a standing ovation as many on our team have never seen that before. In fact, I can only remember one other time that happened in my 16 years with CHIME, and we have had some really terrific speakers. Immediately following the event and for days afterward, countless attendees approached me, our CEO, and members of our staff and Board to share with us how excited they were about the event and, more specifically, how moved they were by you and your message. I would be delighted to provide a glowing referral to anyone considering having you at their event."